Cassette housed in a small nylon bag with zip + inserts. 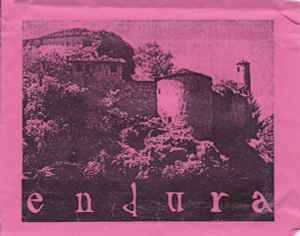 Cover was available in various colours of paper, most of all fuxia and light green, while the other colours were dark green, parchment, rose and blu, with the last two being the rarest. Limited edition of 222 hand-numbered copies. I used to own this, my copy came with small beads as well as all the inserts.